Within the past decade, we’ve seen a very interesting development driven by anti-drug legislation. 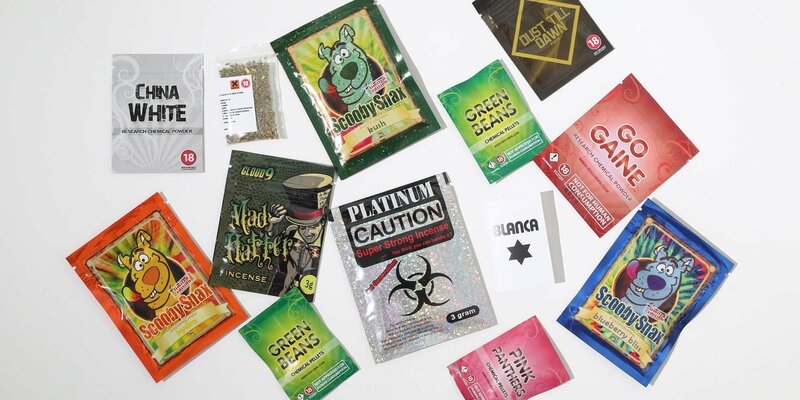 Dozens of new psychoactive substances suddenly became available through online and offline channels but were quickly banned by most countries, only to be replaced by newer, still legal alternatives. At one point, so-called ‘research chemicals’ were highly sought after, but a series of legislative actions stopped this budding market in its tracks and reduced it to a fraction of its former size, all within just a few years. This turbulent period was also marked by conflicting and often sensationalist media reporting, so it’s difficult to make any final conclusions without falling victim to some kind of bias. Q: When was the UK research chemical market first established? A: Online anyway. It all started to become really popular around 2009 or slightly before when people started looking for alternatives to illegal drugs online. At this point, it was still a niche market for enthusiasts and explorers, but there were some obvious advantages that legal highs offered over traditional drugs. Specialized stores started appearing on the web, and pretty soon a bunch of people heard about them through word of mouth and social media, causing a mini-boom almost instantly. Isreali firm, Neorganics, produced the first mainstream research chemical “Mephedrone” in 2004 under the name NeoDoves. Q: Why did research chemicals become so popular? A: This new channel eliminated any chance of trouble with the law, while prices were considerably lower than for illegal substances that had to be clandestinely transported over guarded borders. This combination fueled public interest, and soon this trend got a life of its own. Nobody expected the market to grow as fast as it did, but that’s a testament to the impact of legal restrictions. Q: When did the popularity peak? A: After a few years, research chemicals became a big deal. In 2012, mainstream media was constantly talking about it, while orders skyrocketed to truly unbelievable levels. It was also the time when the greatest number of substances was available, with numerous cannabinoids, stimulants, hallucinogens and empathogens arriving at a steady rate. This golden period lasted perhaps a year or two, before ending abruptly with outlawing of the most successful products. Mephedrone was banned in the UK in April 2010. Q: Which substances were the most popular? A: That depends on the exact period we are talking about, but one famous example is 4MMC or mephedrone. This substance came literally out of nowhere and within months was in high demand [and became on the the UK’s most popular drugs]. Some of the synthetic cannabinoids were also highly popular, with substances like JWH-073 or JWH-018 becoming very popular and the products they were in [Spice] became widely known even among the general population. However, the interest vanished quickly once those chemicals were banned. Q: What caused the decline of the research chemical business? A: Due to negative media coverage, governments in Europe and North America moved to close down the RC business just as it was taking off. At about the same time, public attitudes began to change and people started viewing all research chemicals as unsafe, despite the fact that numerous products were never linked with any adverse reactions. It all unravelled from there. Q: Did UK’s blanket ban play a significant role? A: Considering the size and relevance of the UK market, the indiscriminative Psychoactive Substances Act  was certainly a big blow to international RC providers. It could be argued that it was the decisive moment that ended the wave of success for specialized research chemical sellers, but this point probably occurred a year or two earlier, when negative reports started dominating the media space. Q: Is research chemical market active now? A: While many websites closed, expresshighs.com continues to serve its customers and some unique products are still available from our website. The volume of business is down, especially in some countries with very strict regulations. I believe legitimate RC firms like us will always have a place under the sun, and we work very hard to overcome legal obstacles that severely limit our activities. Q: Which products can be bought on your site these days? A: We are currently focused mostly on herbal incense mixtures, and I can say there is a solid demand for this class of products. Most of the research chemicals were phased out since we couldn’t ship to so many countries that it made no sense stocking them. Q: What would be the benefits of RC trade relaxation? A: Obviously, a wider spectrum of samples would be available to scientists, but this is not the only reason to reconsider current policies. Many of the substances previously bought through legal channels are now sold in the black market, where the governments can’t control sales to minors or tax the trade. You could argue this wasn’t the intended effect of the bans, but it would be naïve to ignore the reality and pretend that all banned substances actually disappeared.